CASA C-101 AVIOJET MID 1970S SPANISH 5367 MODEL POWER POSTAGE STAMP 1:100 STAND. 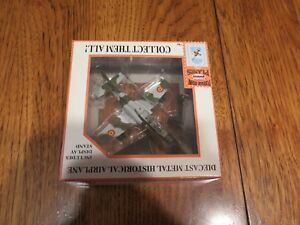 MODEL POWER POSTAGE STAMP DIECAST 1/100 SCALE " HURRICANE MKII " #5340-1. Scarce Postage Stamp Plane MESSERSCHMITT 262 1:100 scale die cast 5357-1 New!